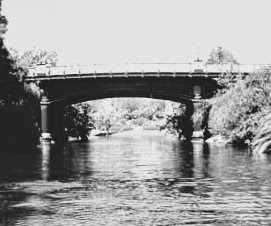 Early Friday morning on the 7 December 1934 Mr Kenton, a local corporation employee was rowing on the River Torrens, Adelaide, South Australia. He noticed something floating in the deep water on the southern bank near the Frome Road Bridge (also known as the Albert Bridge). To his dismay it was the fully clothed body of an older women. 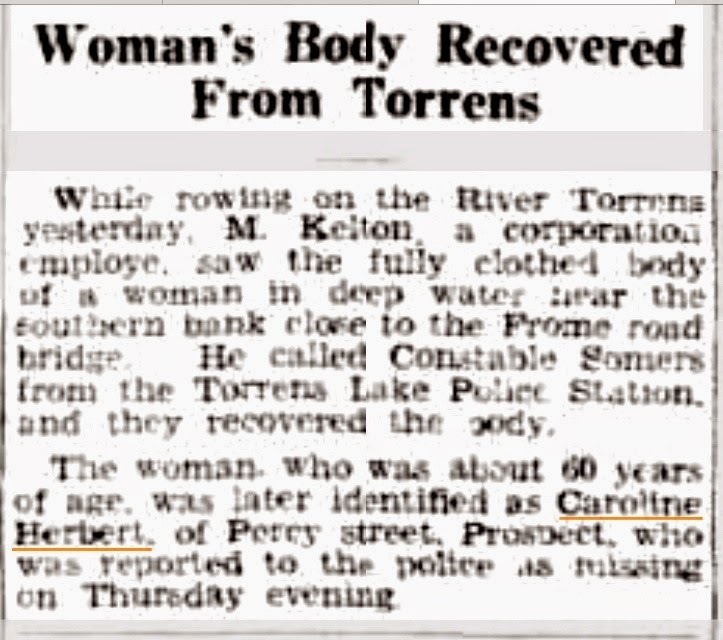 He contacted the local Torrens Lake Police Station and they recovered the body of my great grandmother Caroline Herbert. Caroline or Carrie as she was called by some, was reported missing on the previous evening by her step-daughter Annie Whitehorn. She had been staying with Annie at her home in Prospect for a few months. She was due to return to Broken Hill where her son Roy Herbert, and step daughter Essel Quinn resided. This return would have been just in time to celebrate her 58th birthday on the 9 December. An inquest into her death heard that Caroline was very short-sighted, and that the bank of the river near where her body was found was very steep and slippery. A dangerous place for anyone to be walking at night especially if they were shortsighted. A verdict of accidental death was recorded. Caroline was born on the 9 December 1871, the town of Narridy in the Clare District of South Australia. She was the second child of Ferdinand (Frederick) Hornhardt (1846-1911) and Martha Barbary (1857-1931). Martha and Frederick lived in a number of districts outside of Adelaide, including Narridy, Teetupa and Wadnamiga, moving their family of eight children from one gold mining site to another. Finally, around the turn of the century they made the long journey to Kalgoorlie, in Western Australia. I don't believe that Caroline traveled with them to Western Australia, as at this time she would have been in her early twenties. This period (late 1890's) in Australian History was time of financial difficulty for many families. Years of drought, had driven rural families to the cities. Banks crashed in Australia and internationally. Those who stayed in the country survived by eating possums, rabbits and kangaroos that they trapped. South Australia as with the rest of Australia moved in to a severe economic depression. There was no government support, and many were evicted from their humble dwellings. These economic hardships could most probably have been the reason Martha and Frederick made the hazardous journey to the gold fields of Western Australia. Many of the churches stepped in and took on the role of trying to care and provide for the basic needs of the destitute families living in Adelaide. One such organisation was The Helping Hand mission that was started in a narrow two storied building on West Terrace, Adelaide. This home provided for orphans, destitute women and unwed mothers, providing the with meals and clothing and a place to stay. It was here that Caroline gave birth to her first daughter Muriel on the 27 November 1899. Muriel's birth certificate advises that Caroline was a single mother from the mining town of Burra. It must have been a very tough time for Caroline, as single mother. Society place a strong stigma on single mothers, and they were, in general, regarded with disgrace and there was often strong pressure on the mothers to have their child adopted. It is not clear how Caroline and her small daughter survived the next three years. Maybe she live with relatives in Adelaide, or perhaps was supported by the Helping Hand mission. 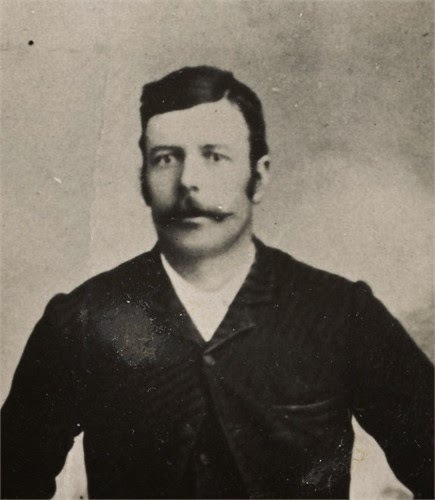 About the same time as this my great grandfather John Herbert, also living in Burra, lost his wife Louisa (nee Seaford). Louisa died on the 3 April 1902 (her 30th birthday) from cholera, leaving John with a young family of four children to fend and care for. Early in the following year, on the 5th February, John Herbert married Caroline a Kooringa, Burra. I wonder if this was an arranged married? A marriage of convenience, for John, someone to help look after his family, and for Caroline a home and the support of a husband? Did they know each other? Had Caroline's father, Frederick Hornhardt met with John and suggested the marriage to his daughter as a solution to his predicament? So many questions? In the 1980's when I was first starting to research my family tree I traveled to Adelaide and was so lucky to meet my Great Aunt Annie Whitehorn (nee Herbert) and she recalled "I still remember the day, my Dad came home with a strange lady and a little girl and told us all, "this is your new mother"." It must have been a difficult time for Caroline caring for five small children, four of them still grieving for their mother as well as a husband who was 14 years older than her. Sometime in 1904, Caroline's daughter Muriel,went to live with her grandmother, Martha Hornhardt, in Western Australia. I don't know if she had any further contact with Caroline and her new family. Before long Caroline and John family expanded with the birth of Jack, Roy (my grandfather) and Lilian. Caroline and John continued to live in the mining town of Burra. John working for the local council. Burra, a small mining town north of Adelaide was the site of one of the world's major copper mines between 1845-1877. It also served as a transport hub, for the north east of the colony. 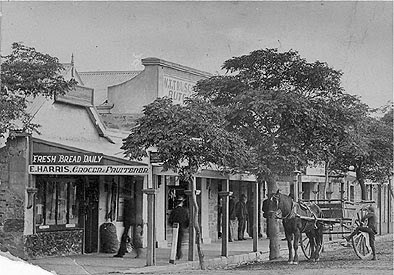 Following the closing of the mine the district became one of the main wheat growing and wool producing areas of South Australia. The Herbert family would have witnessed many the many changes and fluctuating prosperity of the district. The children (Alice, Essel, William (Bob), Annie, from John's first marriage, and Jack, Roy and Lillian from Caroline and John's marriage) grew up in Burra, attending the Burra Model School. John's health was not the best, my Aunt Annie told me she could remember her step mother, heating bags of salt in the oven to ease his pain. Then on the 5 January 1926, John passed away suddenly. I believe that following John's death Caroline spent time living with different members of her family, who had married, and moved to live in Adelaide or Broken Hill. It was on one of these visits to her step daughter Annie that she went for an evening walk and slipped into the Torrens River and drowned. A tragic ending to her life. Historical Times, Burra History Group, http://www.burrahistory.info/BurraHistory.htm, viewed 6 September 2014.